A few hours ago I rolled into the frontier town of Dogubeyazit with a huge uncontrollable grin on my face, and couldn’t resist punching the air theatrically. 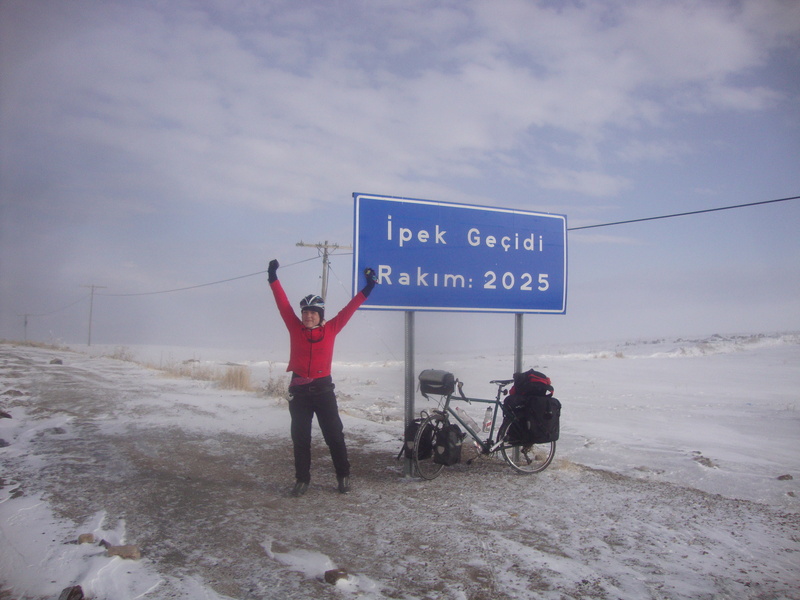 These small moments of triumph are one of the reasons I do what I do, and – I’m sure of it – one of the reasons so many people find cycle touring such a satisfactory pursuit. There are countless little achievements to be enjoyed – getting to the top of a hill, admiring the view and freewheeling down the other side; riding over a fold in the map, and having to stop and turn it over; passing the road sign announcing that you’ve reached that day’s destination, which this morning was just a name on a map that you weren’t even sure you’d be able to reach before nightfall. And then there are the bigger achievements: reaching the end of a country or continent; passing the thousand-mile mark (if you’re counting, which I’m not); crossing the final pass of a mountain range. The warm, happy, sleepy, triumphant glow you experience at the end of the day is directly proportional to how difficult or challenging the ride has been. Right now I’m glowing like a pumpkin lantern, sitting here in my cheap hotel room, wolfing down satsumas and bars of chocolate as I wait for it to be time for dinner. 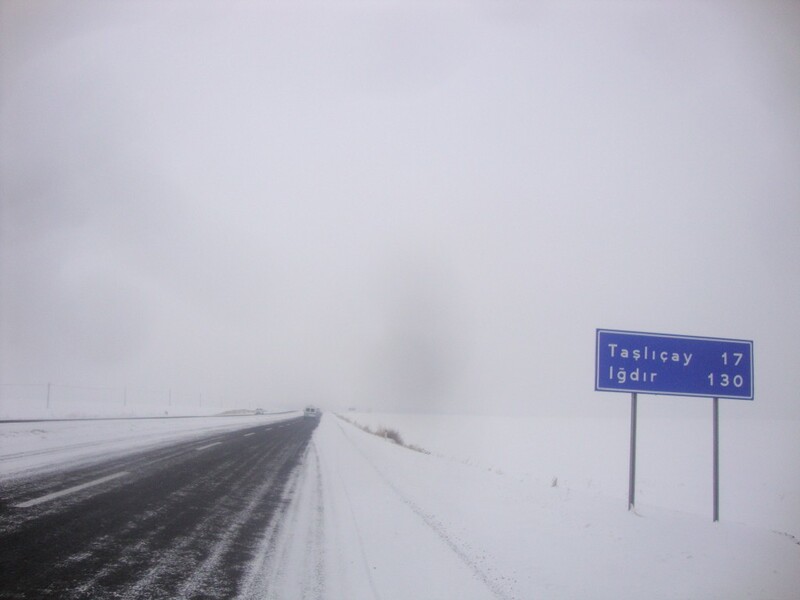 And the day I arrived in Erzurum was similar – within an hour of coming in from the cold I was sitting in my hosts’ warm living room, full of pasta, sipping sweet Turkish tea and listening to them playing the guitar with an idiotic smile on my face. I never relax so completely as when I’ve exhausted myself on the bike, and then reached a safe harbour. It’s an amazing feeling, and one of the reasons I keep going. I’m like a drug addict chasing a high. Last night I arrived in Agri an hour or so before sunset. It was already well below zero, and all the streets were encrusted with a thick layer of compacted snow, with some parts turned into slush by the wheels of the traffic, and other parts solid translucent ice, where the snow had melted into water and then refrozen. It was a nightmare to cycle, and not much easier to walk, and I was trembling with exhaustion by the time I found the clinic where Sertac, my host for the night, worked. 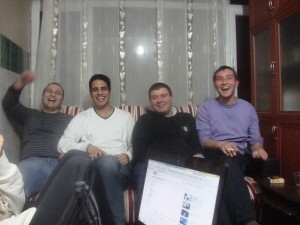 Sertac’s colleagues were surprised, but also delighted to see me. Some of the nurses bustled me into the staff kitchen, sat me down, and started plying me with tea and cakes. One by one, all the doctors and visiting drug company reps came in to shake my hand and introduce themselves. No one spoke very much English, and my Turkish still hasn’t advanced beyond a few key words and basic phrases, so we simply smiled a lot, chattered away in our respective languages, and occasionally burst into laughter at the absurdity of not being able to understand one another. Eventually Sertac extricated himself from his patients and we left, but not before I’d promised to return the following morning, to eat breakfast with them all before I set off. 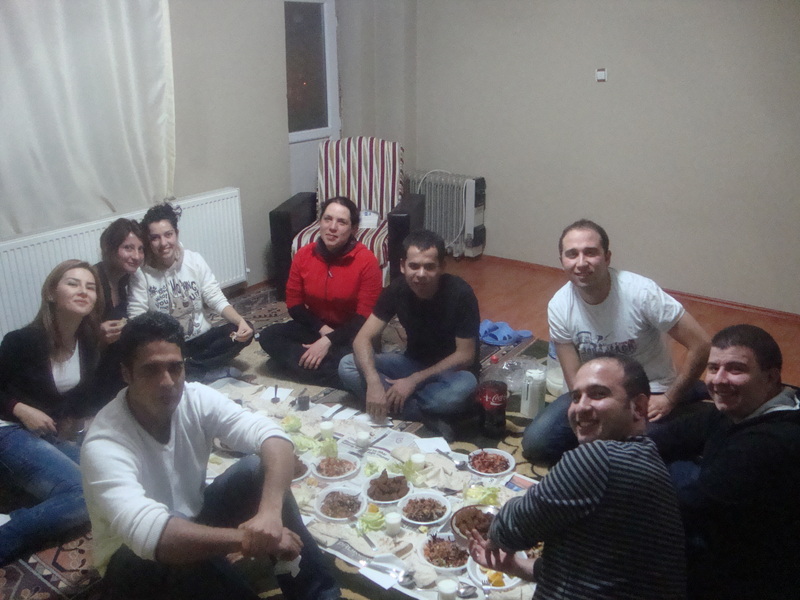 That evening was spent at the house of some of Sertac’s friends, where a close-knit crew of teachers and doctors had got together to eat cig kofte and enjoy each other’s company. People of these two professions, immediately after they qualify, are obliged to spend a few years (one person told me three; another five) working in Eastern Turkey, after which they can return to their home city, or move to wherever else they’d like to live. 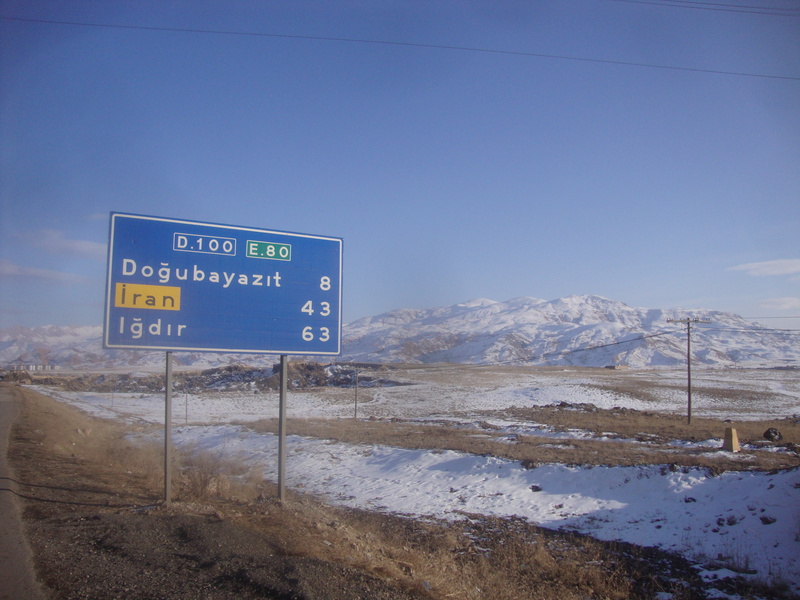 It’s all part of the government’s plan to develop (and, no doubt, to tame) Turkey’s ‘Wild East’, and Agri in particular is full of heavily funded schools and colleges – although, as Sertac remarked, the intended beneficiaries (mostly the local Kurdish population) still show great reluctance to be taught. So there ensued a happy evening of food and laughter, and I couldn’t help but be reminded of all the friends I’d left back in London, some of whom might, at that very moment, also have been enjoying a low-key Wednesday evening get-together, in central London pubs, or in kitchens in Brixton and Hackney. And, as I occasionally realize, there are thousands and millions of other people like this – like me – in towns I’ve never heard of, in countries I haven’t yet visited, going round to each other’s houses, cooking and eating and drinking together, chatting about what went on at work that day, clowning around and laughing at each other, reminiscing about the past and making plans for the future. Some of them I’ll get to meet one day, and that’s another reason I keep going. I spent a comfortable night in Sertac’s spare room (after admiring the six-foot icicle that hung just outside my window), and was escorted back to the clinic bright and early, with the plan of shovelling down a quick breakfast and getting back on the road by 8.30, when I’d arranged to meet up with Ben, a Belgian cyclist I’d run into in Horasan and ridden alongside the day before. But of course, these things always take longer than you expect. When we arrived at 8, none of the nurses had turned up yet, and by the time 8.30 rolled around, we were only just sitting down to eat. And there was no way I could have run away early – everyone had brought along something wonderful, and most of it was homemade. 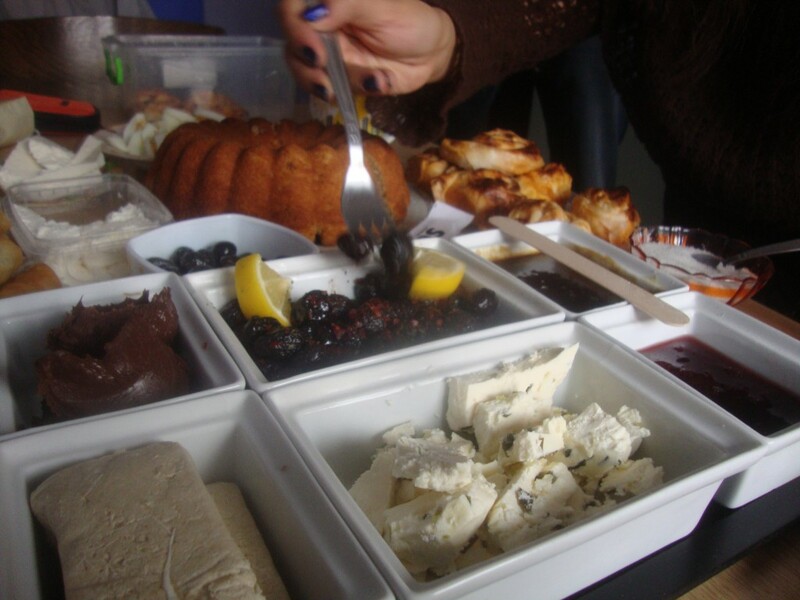 There were sarma (a Turkish variety of dolmades), and olives, and cake, and delicious little fried pancakes, stuffed with cheese and spinach. And, having only met me briefly the night before, a couple of the women had brought me scarves as presents, ingeniously guessing that this was exactly what I needed the most, given that I ride into Iran tomorrow. I thought guiltily about Ben, waiting for me in the freezing cold at the crossroads just outside town. And then I thought about how much worse it would be to turn all of this down, and realized how perfectly happy and at home I felt here in Agri, after only one night. So I settled down and enjoyed a long leisurely breakfast, worrying slightly about how little daylight I’d have left to cover the remaining 100km (including one more mountain pass) to Dogubeyazit, but mainly just revelling in the excellent cooking and company of my new friends. Several times I was entreated not to leave, not to go to Iran, and to stay one more day, and my refusals became more and more half-hearted. Eventually I tore myself away (but not before everyone had been photographed with me, and with my bike, with everyone’s camera, and in every possible permutation), shed a quiet tear as I rolled carefully down the icy street, and then set about catching up with Ben, who had thankfully seen sense and was no longer waiting at the crossroads. It had snowed again in the night – the clouds were still hanging low, and once again the road was a white mess of ice and slush. But I spotted Ben’s tracks – and shortly afterwards Ben himself – within about 30km, and not long afterwards the sun started to break through the clouds, and all of a sudden we were riding under a bright blue sky. I was steeling myself for the final 2000m pass, but as it turned out, we were so high up already that we only had about ten minutes of serious climbing before we were over the top of it. I felt slightly disappointed, until I reminded myself that, even if today I had only climbed a couple of hundred metres, a few weeks ago I was skirting the Bosphorous, right down at sea level, and I’ve covered every mile – and climbed every metre – under my own steam, on wheels I built myself. And as we coasted over the top of the pass, and plunged down the other side, the clouds ahead of us suddenly lifted, and there it was – Mount Ararat. All 5137 metres of it. Enormous, majestic, and shimmering in the mid afternoon sunlight. It was the ultimate trophy, and I barely took my eyes off it as I sped down the hill towards Dogubeyazit, singing at the top of my voice, and no longer even caring that my feet were stinging with cold. The warm glow of triumph had already begun.